Why would I need self storage in Queens Village, NY? There are a variety of reasons why you might need self-storage in Queens Village, NY. How much is a storage unit in Queens Village, NY? The cheapest storage unit in Queens Village, NY is $82.00 per month. What size storage units do you have available in Queens Village, NY? In Queens Village, NY we have sizes that range from 8'x3' to 10'x30' to suit your storage needs. How much is it for a 8'x3' storage unit in Queens Village, NY? The cheapest 8'x3' storage unit in Queens Village, NY is $82.00 per month. Queens Village is a friendly residential neighborhood in New York City's borough of Queens, home to a diverse population that enjoys a high quality of life. Located in the eastern part of Queens and close to Floral Park and Bellerose, Queens Village manages to feel like a small town while still being very much a part of the Big Apple. The history of Queens Village and the borough of Queens stretches back to the 17th century, when Dutch settlers first put down roots in the area. Queens Village was originally called Little Plains when it was founded in the 1640s. By the early 1800s, a bustling community had evolved, home to several businesses and a large factory. When the railroad arrived in 1837, the entire Queens area prospered. In 1898, the borough of Queens officially became part of Greater New York. During the 1920s and 1930s, Queens Village grew rapidly as new residents came in search of a suburban lifestyle away from the busy city. Many of the Tudor and Dutch Colonial homes that were constructed during the housing boom are still standing. Although millions of people live in New York City, Queens Village gives the impression of being a step removed from the constant bustle of other areas of the city. Although Queens Village is quiet and calm, it has its own commercial center, which offers plenty of job options. 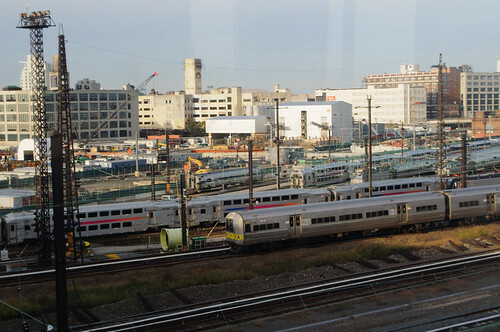 If you end up finding a job in another part of the city, the Long Island Rail Road makes commuting a breeze. It takes only about half an hour via train to get to Penn Station in Manhattan. Even if you don't plan on commuting for work, the train is still a great way to get to the many attractions of downtown, including the numerous museums, theaters and shopping venues. If you don't want to leave Queens Village to have a good time, you'll find a collection of retail shops and good-quality restaurants within the community. The New York City Department of Education oversees the education of students in Queens Village. Queens Village schools are part of New York City Geographic District #29. There are also many private schools in Queens Village, mainly parochial campuses that serve grades 9 through 12. Utilities: Con Edison and the New York City Water Department are the primary utility providers in the Queens Village area. Garbage and Recycling: Your trash and recyclables collection schedule will depend on your home's location. You can look up your collection days on the New York City website. Transportation: Queens Village, like the rest of New York City, is extremely well-connected by public transportation. Rail, subway and bus routes all provide convenient transit options and are operated by the MTA. You can find both single-family and multi-family homes, as well as a handful of apartments for rent in Queens Village. However, you should expect fairly high prices, which are standard for New York City real estate. There are plenty of options to choose from, which make it easier to find something that fits both your budget and needs. Our lowest priced units in Queens Village, NY average $82.00 per month. 62 people have reserved units in Queens Village, NY in the past 30 days. There is 1 location within Queens Village, NY's city limits. There is 1 location in Queens Village, NY that offers AC and Heating features.